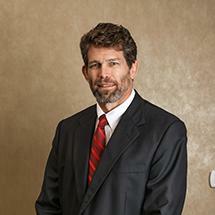 Licensed to practice law in 1993, Carl A. Feddeler, III has concentrated his practice on representing injured workers in workers' compensation proceedings both at the trial level before the judges of compensation claims and at the appellate level before the First District Court of Appeal. Over the course of his practice, he has represented hundreds of workers to ensure that they received the appropriate medical and compensation benefits to which they were entitled. He is Board Certified in Workers' Compensation and is a graduate of the Virginia Military Institute and Cooley Law School, where he served on the Law Review. Outside of his practice, Mr. Feddeler is active in his church and enjoys spending time with his family.